The Human Rights Act 1998 became part of our law in 2000. It was one of the fundamental human rights elements of the Belfast/Good Friday Agreement. The Human Rights Act brings the European Convention of Human Rights (ECHR) into local law in Northern Ireland. As part of the Peace Agreement it is one of the building blocks upon which a Northern Ireland Bill of Rights is to be developed. The Human Rights Act makes your Convention rights the responsibility of ‘public authorities’ in Northern Ireland. Public authorities include for example central and local government, government agencies such as the Health Service, the Housing Executive, the Police Service (PSNI), the courts and all public services. This also includes other bodies that have public functions, such as local nursing homes. For the past 15 years the Human Rights Act has been successful in protecting the rights of people with disabilities, older people in care homes, people’s rights to a fair trial, protection of family and private lives. (hyperlinks for relevant cases/case studies will be added). The Human Rights Act is currently under threat by the UK government. (Hyperlink). Because of this threat the Consortium is working to raise awareness and understanding of how the Human Rights Act positively influences the protection of rights in Northern Ireland. As part of this we would like to hear from you on how the Human Rights Act or protection of rights is part of your work or your story. 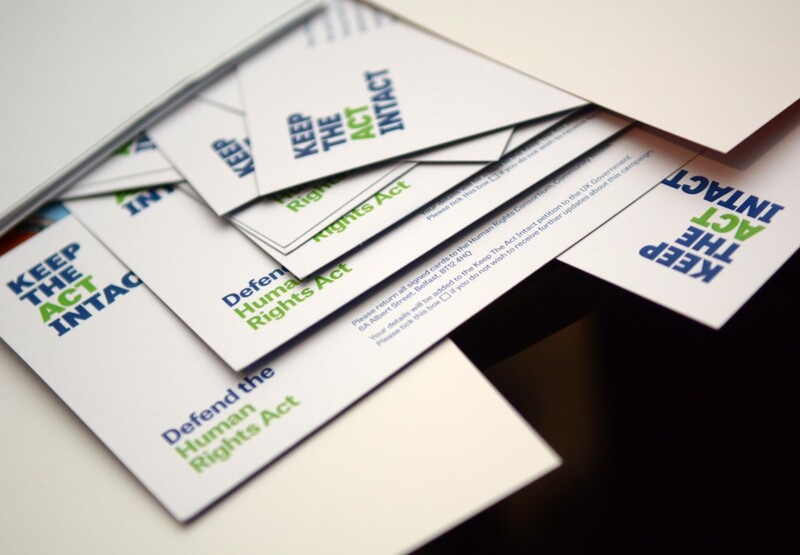 For more information on the Human Rights Act, visit our our Resources area.